Northern Italy’s Alto Adige region continues to gain worldwide recognition for its stellar white wine contributions. 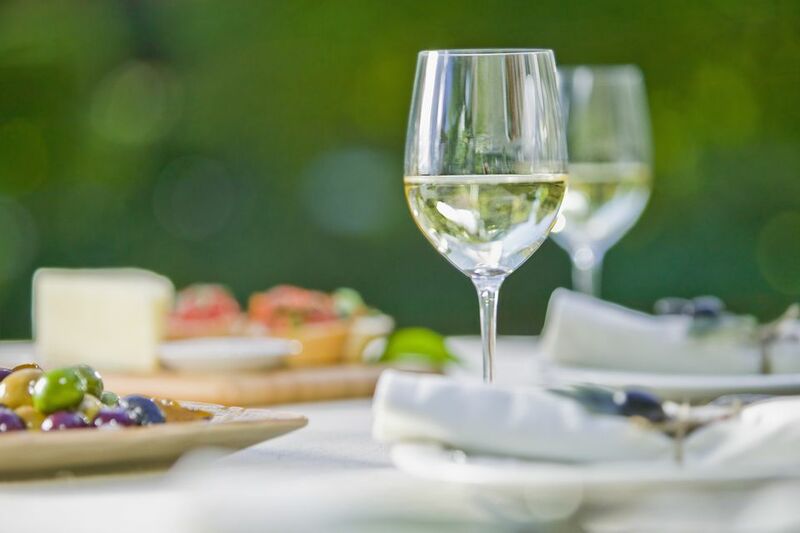 These wines offer outstanding varietal character - focusing on fresh, vibrant, versatile white wines, that promise and deliver on consumer quality and value time and again. Though Alto Adige may be known first and foremost for its white wines, keep in mind that they also put forth several striking red wines sourced from native grapes, Lagrein and Schiava. Check out these Top 20 Wines from Alto Adige via local or online retailers or on a favorite restaurant's wine list - you won't be disappointed! The Abbazia di Novacella is a 12th century Augustinian Abbey that enjoys one of the region's highest vineyard elevations. This increase in elevation, brings the Pinot Grigio up a notch by intensifying the fragrant floral aromas and significantly increasing the flavor concentration with plenty of citrus and apple flavors on the palate. Bottom line - there is more power, more expression of varietal character and more bang for your buck with this extroverted Pinot Grigio. The 2007 J. Hofstatter Kolbenhof Gewürztraminer is a bold white wine ambassador of Italy's Alto Adige region. This particular Gewurztraminer offers full throttle aromas consisting of a spicy, almost woodsy bouquet with floral nuances and hints of smoke. On the palate you'll find vibrant fruit, leaning heavily on pear and citrus accompanied by well balanced acidity and a zesty, fruit-filled finish. This wine has more body than anticipated and will pair well with a variety of foodie favorites. Give it a go with curried dishes, spicy shellfish, prosciutto or smoked salmon. The Weingut Niklas Sauvignon (Blanc) 2007 – offers solid acidity, with full-fledged floral aromas and flavor nuances of limestone and green bell pepper alongside a citrus cap. This wine is the fruit of 35 year old vines and is made on a lovely family-owned estate with a cellar that dates back 700 years. Consider pairing this Sauvignon Blanc with a lemon-herb chicken combination or oysters on the rocks. St. Michael-Eppan Pinot Bianco 2007 - offers fresh aromas and tart green apple acidity with a vigorous finish. This is a prime example of what a focused, medium-bodied Pinot Bianco can be. Try pairing this Pinot Bianco with grilled or sautéed seafood based dishes. Manincor's "Sophie" white wine cuvee is an expressive blend of Chardonnay, Sauvignon Blanc and Viognier. This wine was fermented and aged in large oak barrels that were handcrafted onsite. The aromas are rich and inviting with hints of citrus, the palate offers vibrant, concentrated fruit layered with a touch of butterscotch and an opulent finish. This particular Sauvignon Blanc boasts unbelievable minerality, giving rise to a fresh crisp, expectant wine with lots of citrus on the palate, dominated by lemon and grapefruit. The finish endures and carries the limestone minerality with it until the very last breath. Perfect for pairing with shellfish or smoked fish. Cantina Terlano has a legacy of producing age worthy white wines, due in large part to the higher mineral content of their surrounding soils. In fact, we had the privilege of tasting a Pinot Bianco-based blend from 1956 and another Pinot Bianco from 1979 - both wines were astounding - rich, ultra opulent wines with deep complexity and refined structure, yet incredibly approachable. Amazing wines all the way around. The 2007 Tiefenbrunner Castel Turmhof Gewurztraminer brings loads of honeyed pear and warm spice, this is a fuller-bodied aromatic white wine with a lush, persistent finish. Consider pairing with fresh seafood or smoked meats and cheese options. Alto Adige’s Cantina Valle Isarco Veltiner 2007 (Italy) $12 – this wine is produced from 100% Gruner Veltliner grapes and offers up a deep floral bouquet with crisp apple well buffered by subtle spice. There is a definitive mineral foundation for this wine and an unexpected liveliness. This white wine was made using four favored varietals allowing for both depth and complexity. Pinot Bianco, Chardonnay, Sauvignon Blanc and Riesling all provide input and varietal character to this rich, fuller-bodied white. Peach on the palate likely a gift from the Riesling grape, is the dominating palate fruit with a hint of earthiness invested by the Sauvignon Blanc. The Chardonnay offers a rich, creamy texture and supports the finish well. This Lagrein ups the ante with a bold, power-filled full-bodied red wine. It renders depth and flavor from start to finish. The flavor profile is comprised largely of blackberry, raspberry, plum and black licorice - there is a smoked spice nuance that adds to the palate intrigue. The finish is firm and persistent. Consider pairing with grilled or roasted game. The J. Hofstatter Crozzol Pinot Noir is a subtle, beautifully refined wine with notes of raspberry and cherry on the palate. It is a medium-bodied red with a pleasant finish. The Hofstatter Crozzol Pinot Noir offers a lot of food-pairing versatility as it is not likely to compete, but will complement a variety of flavors. This particular Gewurztraminer comes from one of Alto Adige's oldest cooperative wineries. On the nose, floral notes prevail - dominated by rose petals, a fuller body, exotic spice and tangy green apple greet the palate. This is a serious Pinot Noir that demands attention and gets it, due to its compelling personality and food-friendly nature. The nose is dominated by raspberry and cherry fruit, both of which are elegantly echoed on the palate along with a sense of place, an earthy nuance that seems to ground the fruit. The wine is reserved, yet playful - fruit forward, yet subtley restrained by terroir and the finish is exquisite. This Pinot Bianco from Alois Lageder has both poise and presence. It is packed with apple and melon on the palate and underneath the fruit there is a solid display of minerality. Fresh, alive and layered with well-honed acidity - this wine is a keeper. Set in a breath-taking 11th century monastery, the Lagrein grapes are grown and cared for by the monastery's monks. This Muri-Gries Lagrein offers a delicious rendition of dark fruit carried on soft, well-mingled tannins. Glimmers of mocha and a layer of earth support the rich fruit and long finish. This wine offers a unique red grape experience with the Lagrein varietal. It brings the juicy fruit of cherry and plums to the forefront, followed by well integrated tannins and a medium soft finish. St. Michael-Eppan is a successful cooperative winery in Alto Adige. St. Michael-Eppan's Comtess Passito presents a delicious dessert wine, made from a lovely blend of Gewurztraminer, Pinot Bianco, Sauvignon Blanc and Riesling grapes. 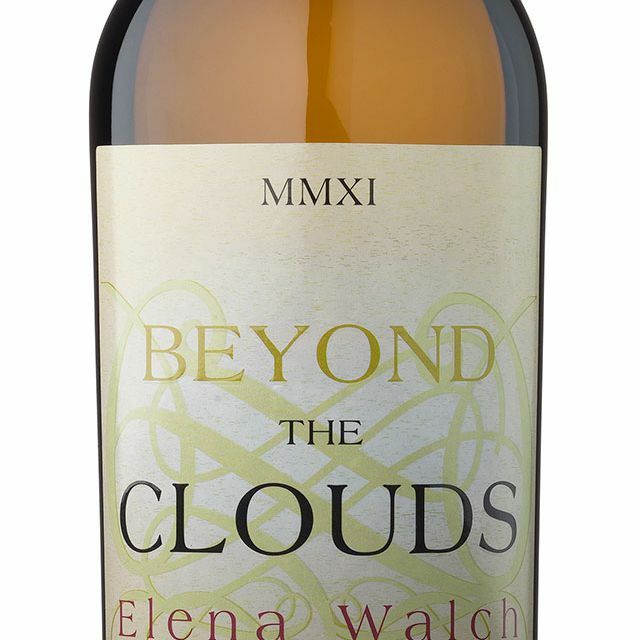 This is a full-bodied, full-flavored dessert wine, with plenty of honey and spice, based on elegance and vinified style. Kerner is a cross between Riesling and Schiava, a local red wine grape from Alto Adige. While this may not be a familiar wine to many, it is worth seeking out for both the novelty and more importantly to taste how "fresh," fresh can be when the grapes are grown at altitude literally exchanging breath with the Italian Alps. The flavor profile yields incredible clarity in the fruit - mango and melon with a squeeze of citrus take the first focus, followed by clear-cut, mouth-watering acidity. This is a single vineyard Pinot Grigio and offers a highly concentrated, elegant white wine experience. If you are used to a lean and mean Pinot Grigio, this will take you off guard for a moment as this is decidedly rounder, with the edges thoroughly softened by malolactic fermentation. A well-presented, refined Pinot Grigio with delicious flavor and bright acidity. As for the palate flavor profile, you’ll find plenty of ripe peach and subtle tropical tones overlaid with just a touch of oak. Consider pairing with seafood served over pasta or roasted poultry.